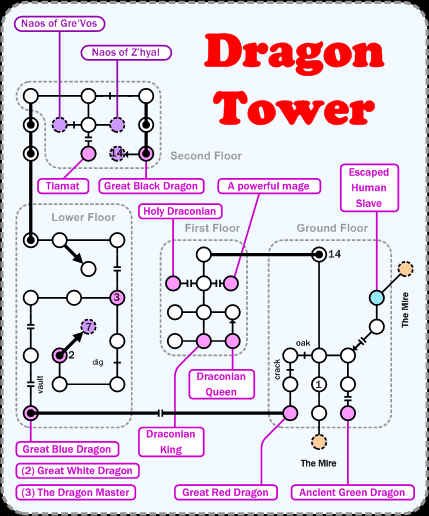 Dragon Tower is a nice area full of, well, dragons. The most interesting thing in this area is the ring of the dragons, in my opinion. Walk ( 6s, ne, 2s, se, 2e, s, 2sw, s, 10sw, w, u, s, 2e, 2se, 2s, sw, 2nw, 3w, sw, w, sw, se, sw ) to get from DH to the room marked in blue.